At Hallmark Care Homes we provide Relationship Centred Care. 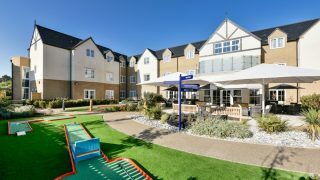 We believe that this is hugely beneficial to the quality of life of not just our residents, but their loved ones too. Read on to discover more about our unique approach to care. So What Is Relationship Centred Care? Our relationship-based approach to care ensures an environment in which our team share a philosophy, they value care, involve residents and their families, and focus on people not tasks. Our team members have been chosen not only for their qualifications and experiences, but also for their compassionate and caring natures. Therefore our team’s day to day engagement is genuine and this can have a great impact on the atmosphere within the home, and it develops trust between residents and staff. Don’t Shy away From Emotions! 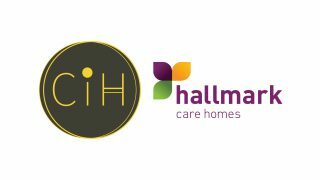 Rather than remaining detached or neutral, our team at Hallmark empathise with and get to know our residents on a personal level. We believe that being emotionally neutral is not beneficial to the wellbeing of our residents, and empathy has the potential to help residents experience and express their emotions. Although many people are staying at home longer, there is evidence to show that some of the factors that are linked to declining health and depression include loneliness and isolation. In response to this, our residential communities have fantastic communal spaces – lounges, libraries, dining rooms, and cafes. Spending time in these areas ensures that residents are communicating with others, and consequently their emotions are lifted. 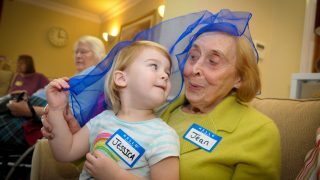 Having respect for one another is a fundamental part of our care homes. Practicing Relationship Centred Care ensures acts of respect are real. The principles of RCC emphasise that team members ought to respect residents and colleagues, and appreciate the contributions that people from other disciplines bring. One way in which we put this respect into action is with our ‘About Me’ booklets. In our eyes it is crucial that our team get to know the individuals in our care, so we ask that every new resident completes their profile in the booklet provided to them, their family and friends. Not only does it help residents reminisce, which is particularly beneficial for those living with dementia; but the booklet also helps us build with a whole picture of our residents and their incredible lives. ’About Me’ also helps with planning appropriate, engaging activities. For example, if the team know a resident is a keen gardener, they can make sure that gardening is a key part of that person’s life in the home. We feel that if we practice respectful relationships, and embed teamwork into our care, all parties will have greater enjoyment of life! Relationship Centred Care ensures all parties feel significant. 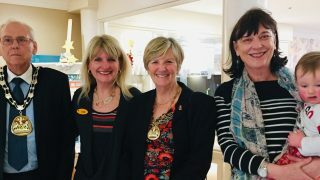 Residents feeling that they matter, within the home, and within the wider community is a priority; and the loved ones of a resident should feel a sense of belonging when visiting the home too. We encourage friends and family visits here at Hallmark, and we understand that it’s important for many families to bring along younger relatives. 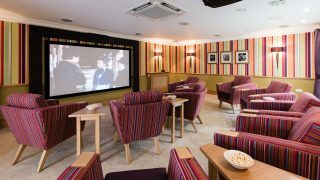 To ensure this is a positive experience for all, each of our care homes has lots of communal spaces with flat-screen TVs and Wii games consoles to make our homes a welcoming environment for the grandchildren as well as the grandparents! Belonging in the wider community is of great importance for us here at Hallmark. We have a dedicated lifestyle team who schedule events to appeal to every taste and involve the outside community. Examples include film nights, ‘movement to music’ nights, and visits from local schools, choirs and amateur dramatics groups! The communities around our homes are dedicated to supporting our residents and our team, and we value this greatly. Keeping relationships central in our daily lives means us, as a team, at Hallmark can provide the best possible standards of care. For all of the reasons above, and more, Relationship Centred Care can benefit the lives of us everyone within and around Hallmark Care Homes. 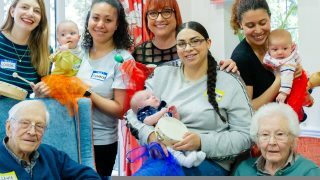 We prioritise involving and communicating with the families of our residents, as well as involving and engaging the wider community, and we’re sure it is because of our fantastic web of relationships that our customers’ minds are put at ease, and gaps are bridged. 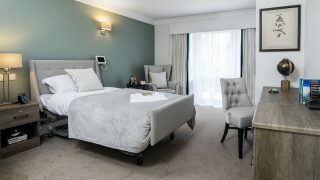 By practicing Relationship Centred Care helping a new resident transition from semi-independence within their own home, to moving to one of our care residencies has never been smoother. 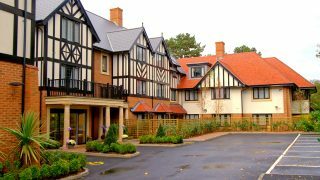 To find out more about any of our care homes take a look here. You can even come and be a resident for a day to discover what life at Hallmark is like!